Discussion in 'Arab Defence Forum' started by Zarvan, Feb 6, 2019. Why would SA use AAMs in Yemen? And why not just block sale of spares if they are so concerned? One oughta have brains for that mate. Where did you get this info.. it is a confused info.. Saudi Arabia is operating 72 Typhoons..and ordered 48 more when MBS visited England.. There are 3 options now:The UK will give the Meteor from its own reserve since it has signed the deal in 2015, Germany will comply with its allies an let the Meteor be delivered..or it can be replaced by the Aim-120D, since it was already integrated on the Typhoon.. The loser here is Germany with its fake Human rights alibi..
"Berlin is understood to have blocked the sale citing German-made components in the missile as it is opposed to Saudi Arabia’s use of the Meteor-mounted Typhoons in the Yemen conflict and over the Jamal Khashoggi affair." Houthis have no airforce for the Meteor to be used against..And the Khashoggi affair is gone with the wind..and the perpetrators have been judged and condemned.. So Germany is holding on thin air.. when it comes to arms exports.. In the meanwhile Germany is involved in huge civilian projects in Saudi Arabia with TOT and what have you.. This is the fate of the Gulfies i hope the worst will happen for you lazy people. Imagine you buy Chinese weapon and it use Russian parts and they blocked it ahahah. Keep it trolling Germany. Well, Saudis will get a custom made solution from someone else. Germany keep licking your technology. French guys knew the inner story. Israel will strike against every Middle Eastern nation. This move is just to support Israel. Germans are not what they used to be,overall,best people in Europe. 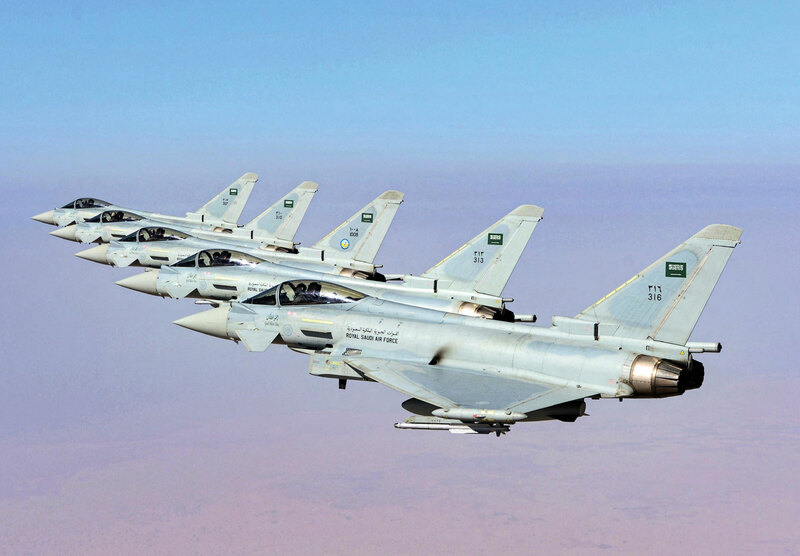 On March 9 the Kingdom of Saudi Arabia signed a Memorandum of Intent (MoI) with the UK government to purchase 48 Eurofighter Typhoon swing-role fighters. Leading the sale on behalf of the Eurofighter partner companies, BAE Systems—along with the UK government—had been pursuing a follow-on Saudi buy for several years, having earlier sold 72 Typhoons to the Kingdom. For the partner companies and their suppliers throughout Europe the deal, if finalized, represents a major boost, coming on top of a Qatari order for 24 Typhoons signed in December. Before the order Typhoon production at the BAE Systems Warton plant had been expected to shut down in 2022 without further orders, but the two new deals secure thousands of jobs for several more years. Should Pakistan export Ballistic Missiles to Saudi Arabia?